Franklin Matters: “Our motto this year is ‘Team First’"
"The Franklin girls’ basketball team has outscored opponents by about 22 points per game this season. What’s the formula? Simple: a star center, feisty defense, and an experienced coach. 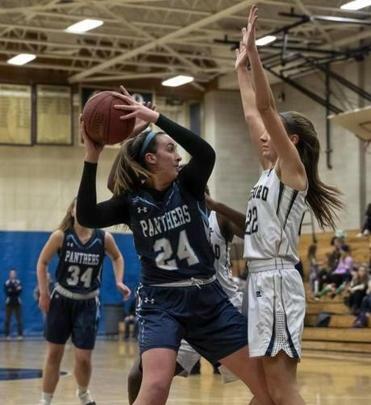 The Panthers are 12-1, the only loss coming in an exclusion game to defending Division 4 state champion Coyle & Cassidy that will not impact seeding for the Division 1 Central tourney."